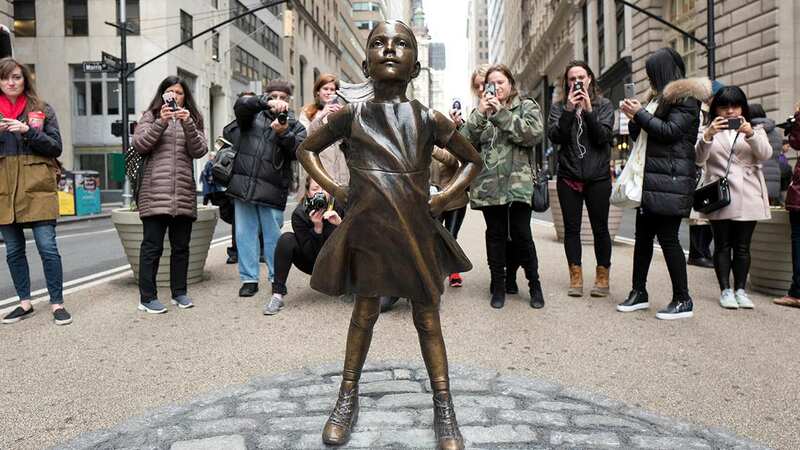 NEW YORK (WABC) -- An online petition to keep the "Fearless Girl" statue on Wall Street permanently has reached more than 19,000 signatures. The Care2 petition says, "Women's equality is not a temporary issue," and therefore should not be limited to a day, week or month. The 50-inch tall bronze statue was installed on the eve of International Women's Day, which took place on March 8. The statue of a girl with her hands on her hips stands across from the "Charging Bull" sculpture on Wall Street. The "Fearless Girl" statue is scheduled to be removed April 2.